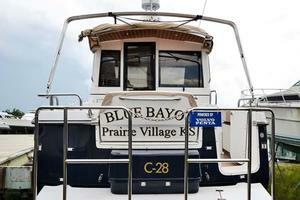 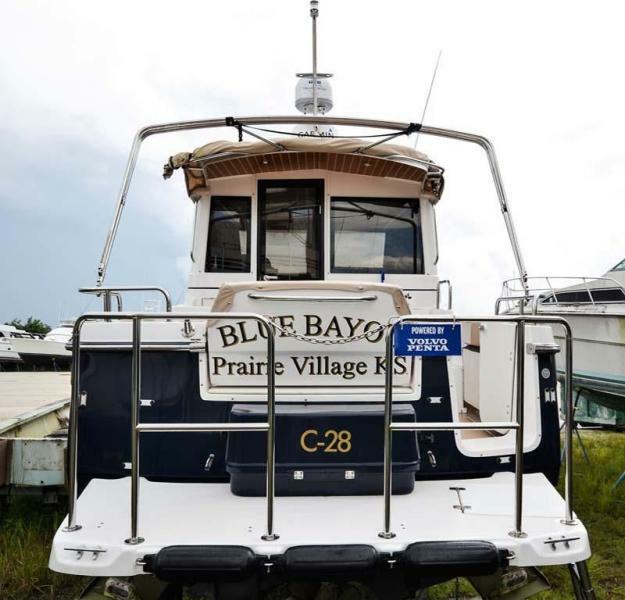 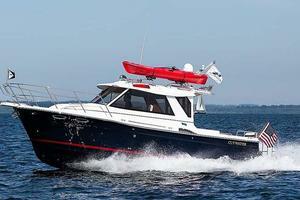 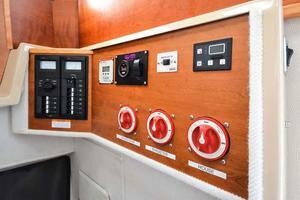 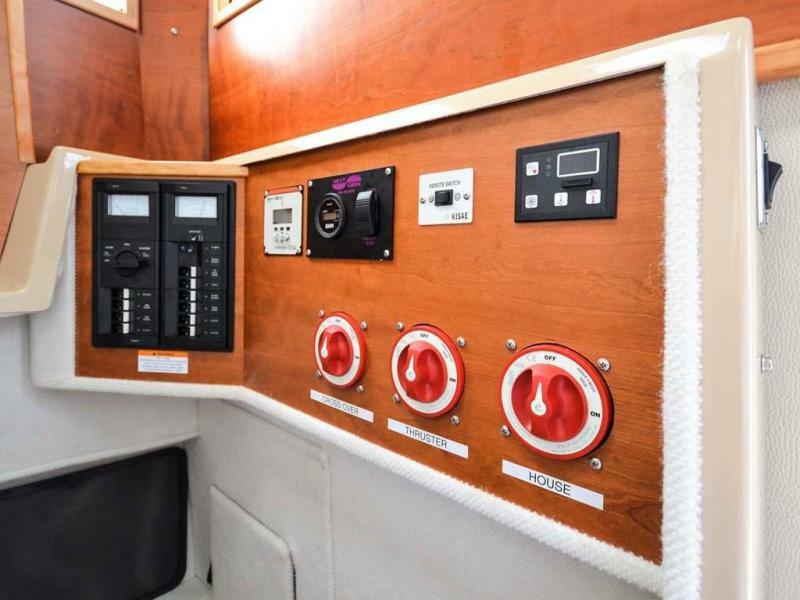 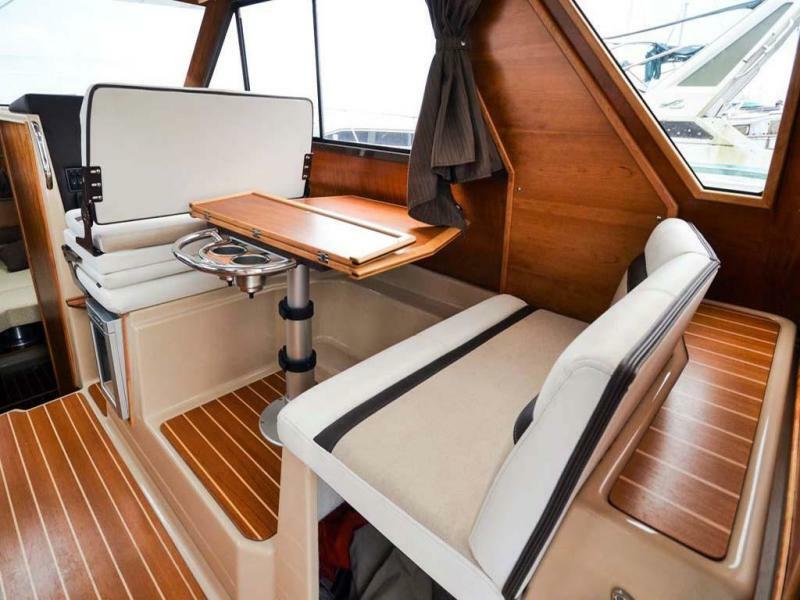 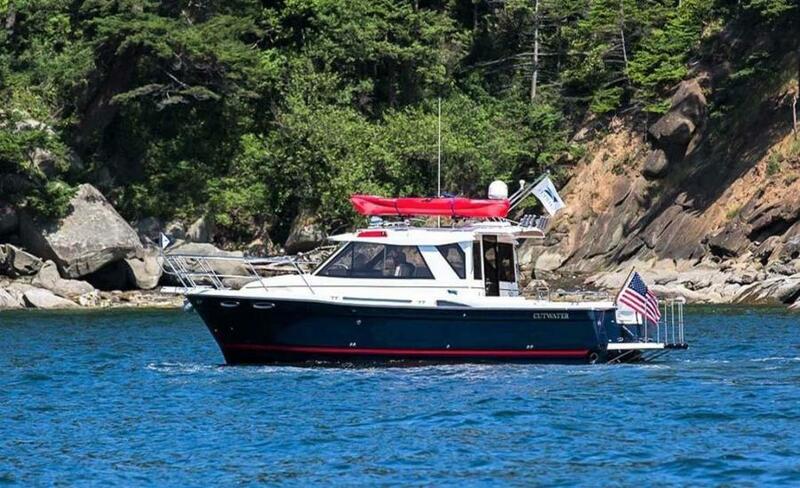 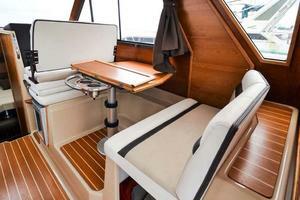 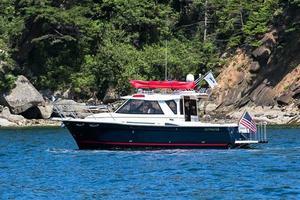 “Blue Bayou” is a practically brand-new C-28 Cutwater Boat. 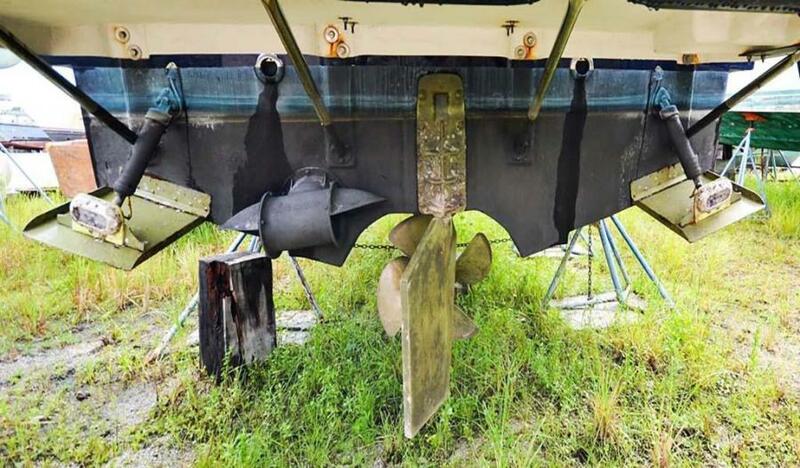 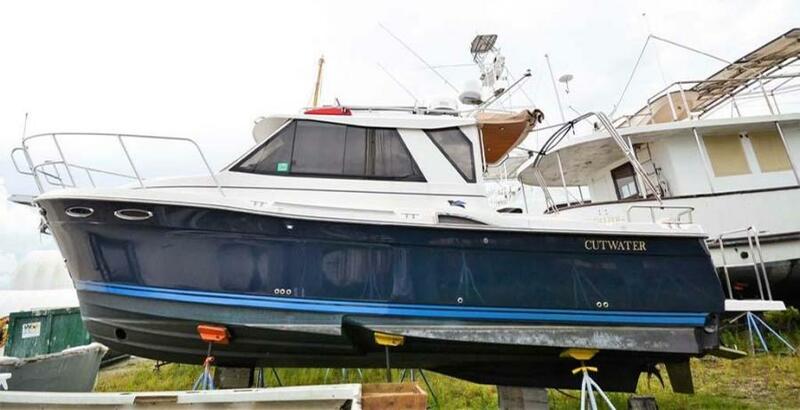 Bought in January of 2018, the owner has decided on a different boating style. 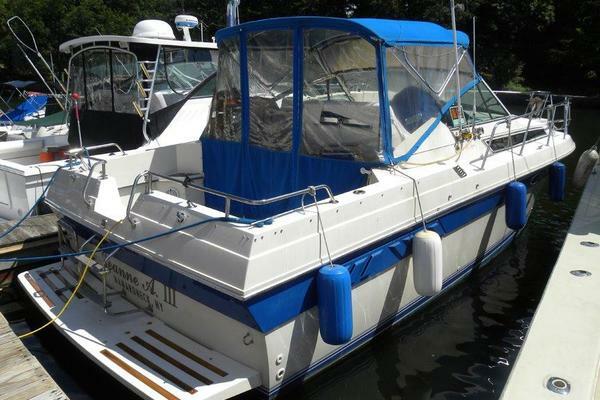 This comfortable family cruiser is perfect for the Great Loop, or you could load it on a trailer and take it inland to any destination of your choosing! 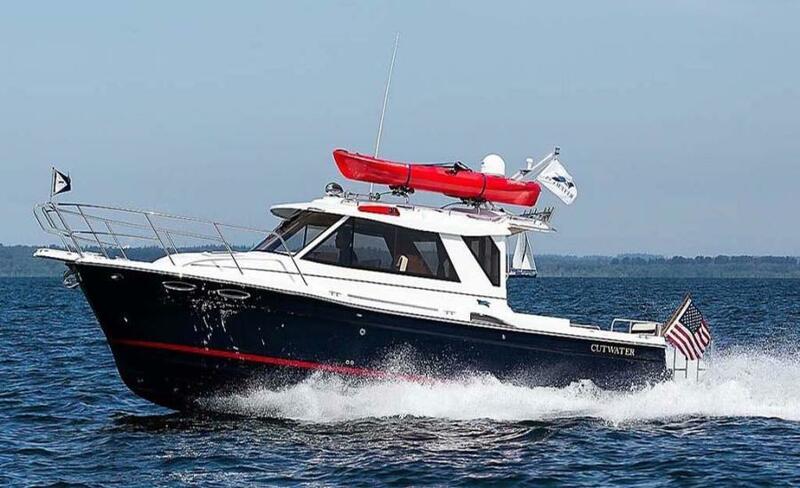 Powered by a single Volvo D-4 260 HP diesel engine with only 54 hours on the meter, she boasts the Cutwater Keel Stepped-Hull which is designed for performance, handling and comfort. 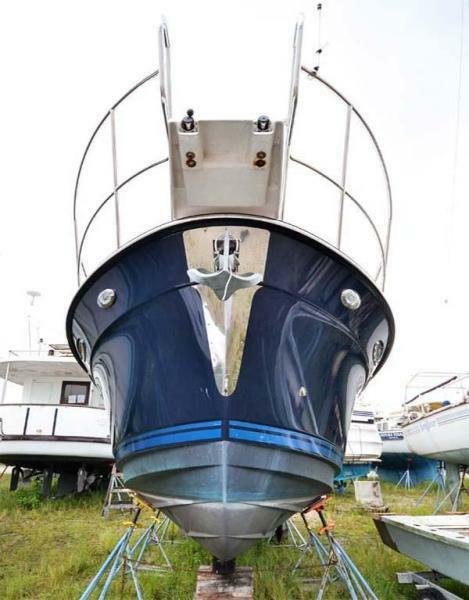 “Blue Bayou” is equipped with the Luxury Edition package and has all factory warranties still in effect, this boat is a terrific package! 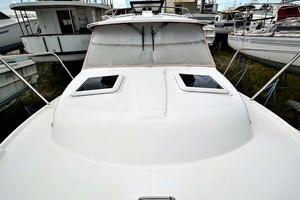 Owners change of boating plans can save you a lot of money and will consider all reasonable offers! 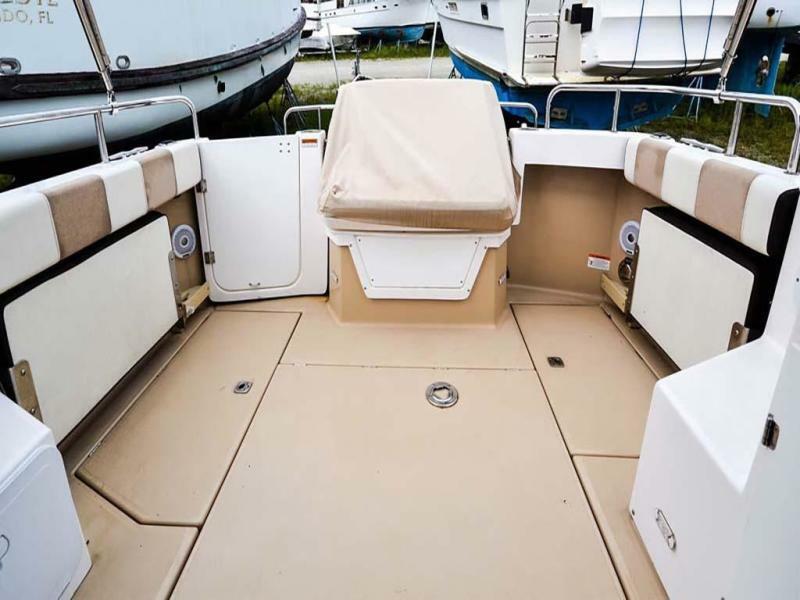 West Florida Yachts would love to guide you through a personal showing of this 28' Cutwater C-28 2018. 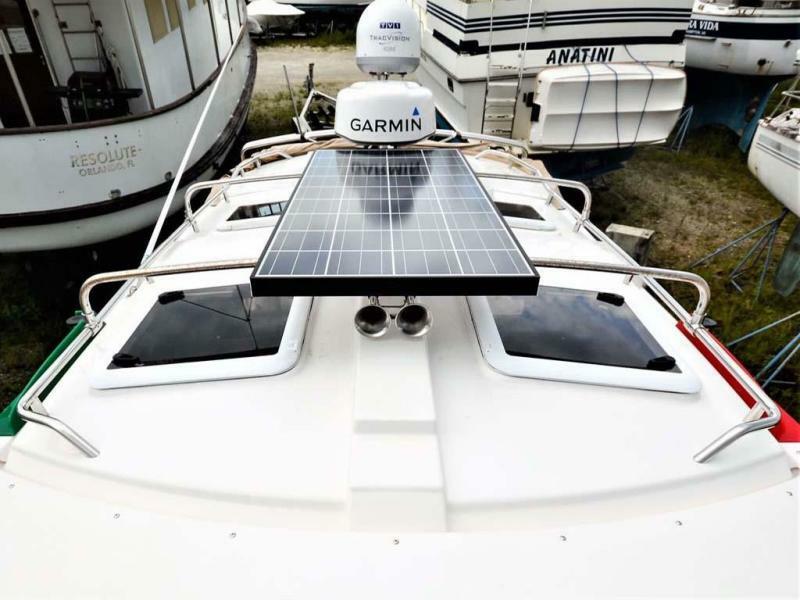 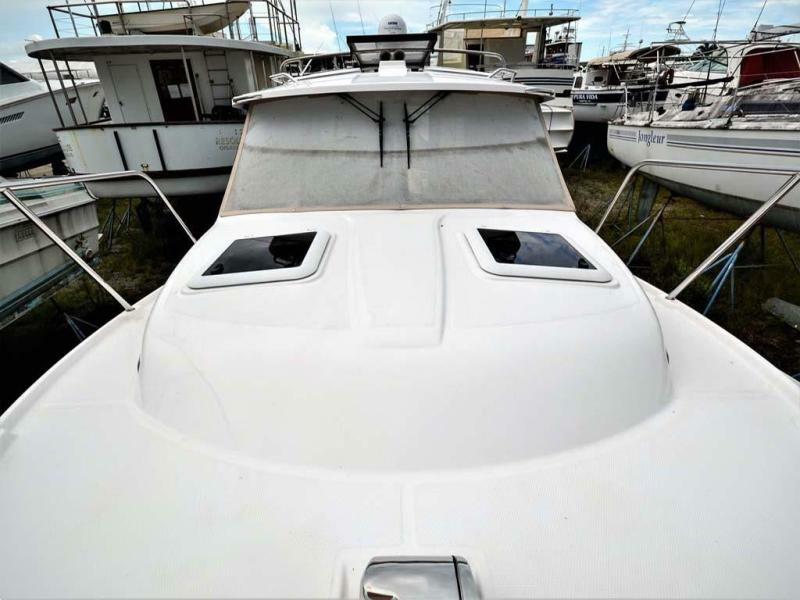 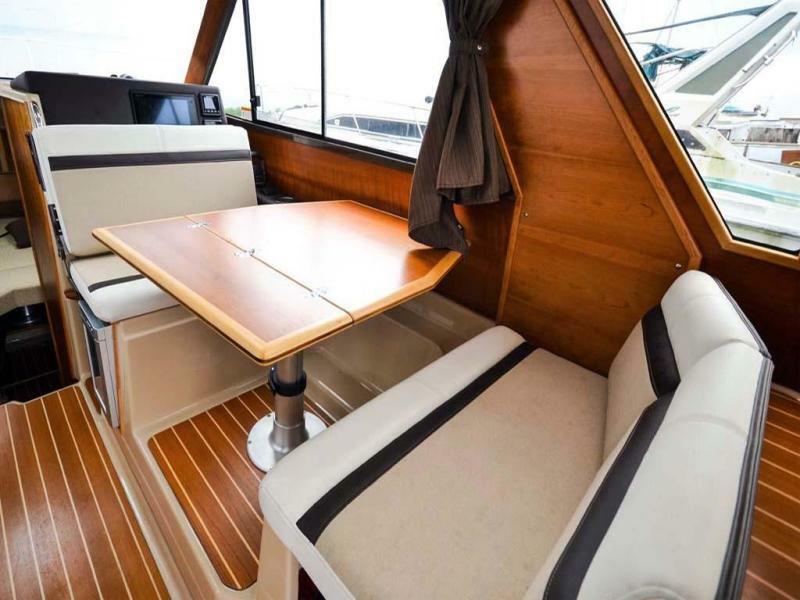 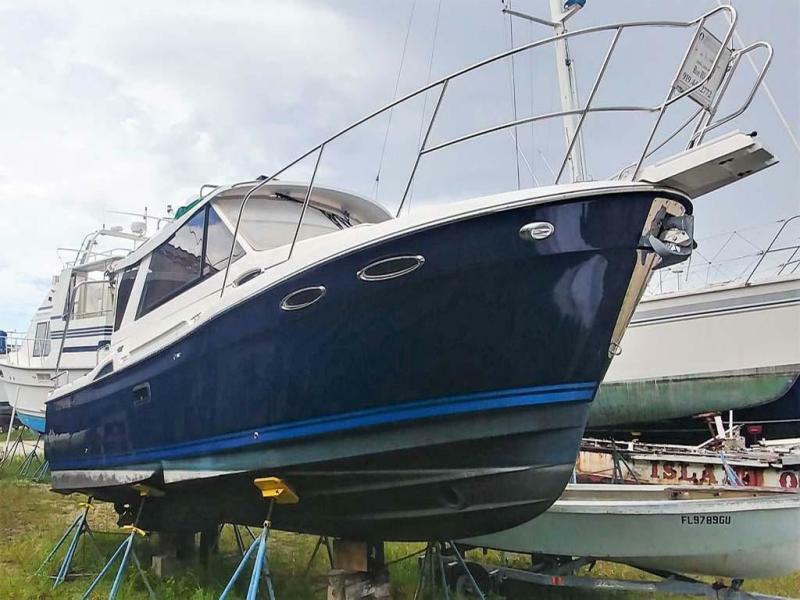 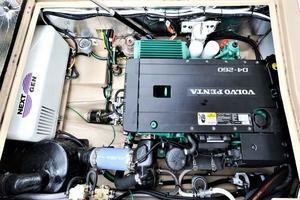 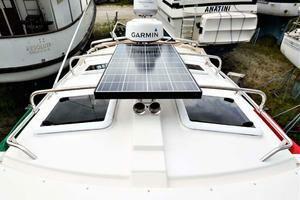 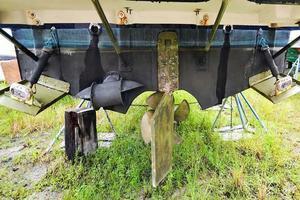 This yacht for sale is located in Stuart, Florida and priced at $189,500. For a showing please contact us by filling out the form on this page and we will get back to you shortly! 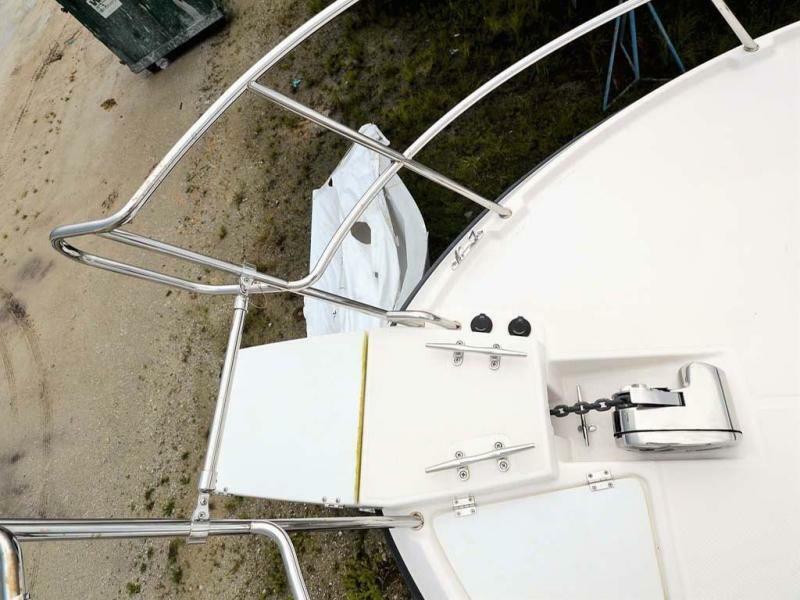 Stepping onto the swim platform you have a safety rail around you and access to the cockpit with seating aft. 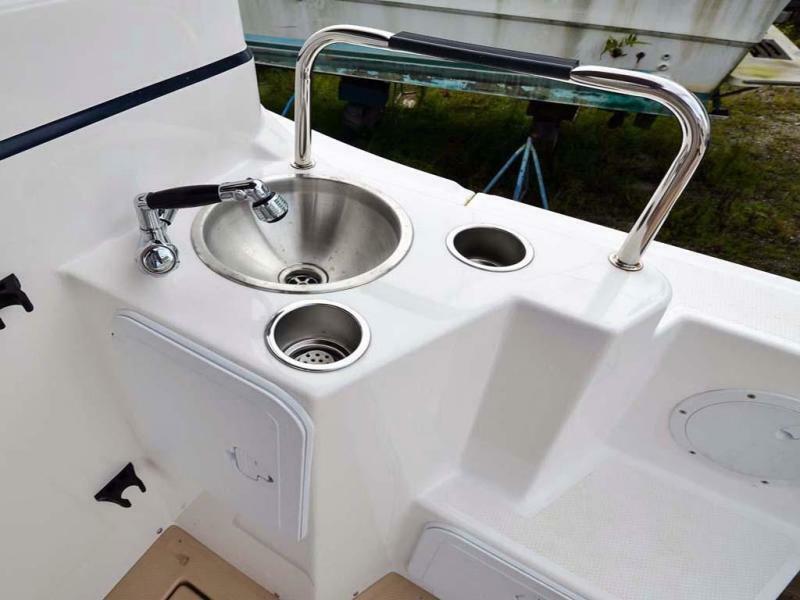 Starboard is a fold-able seat along with sink and shower. 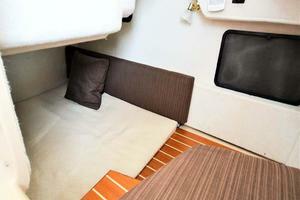 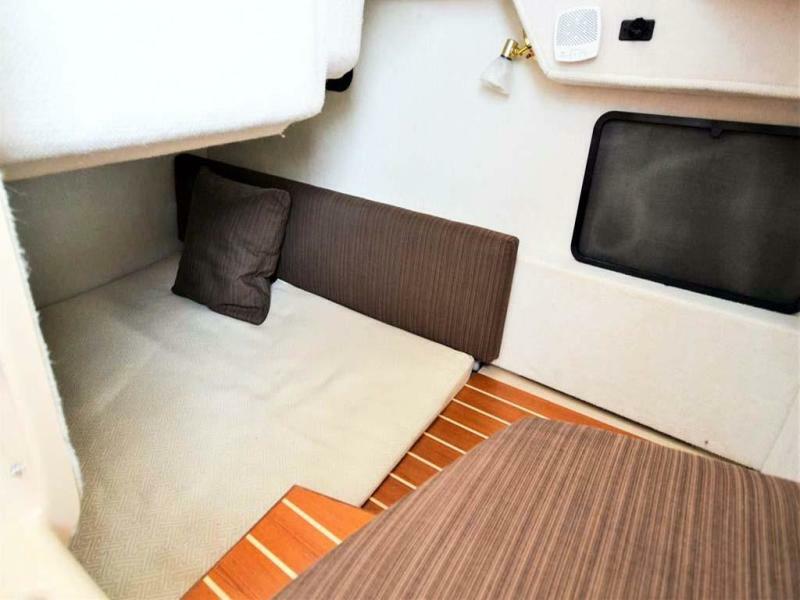 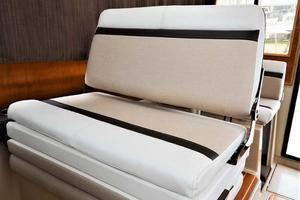 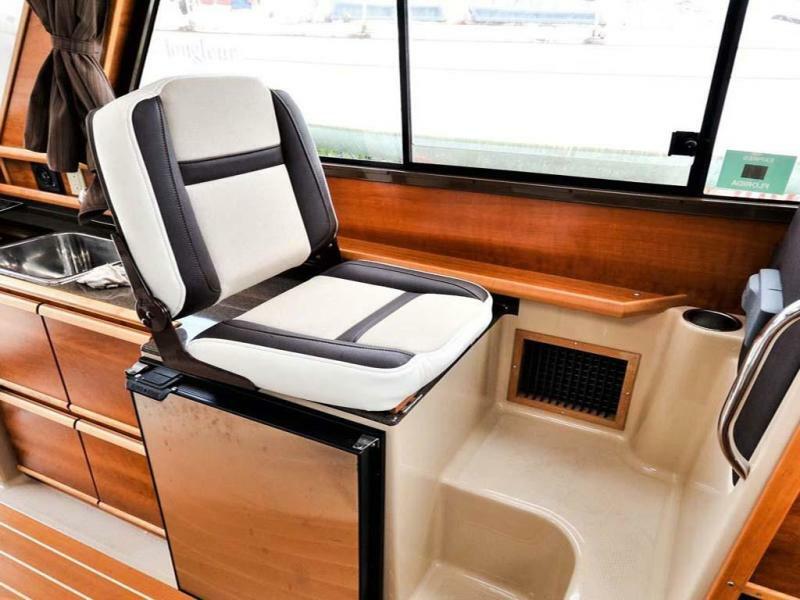 To port is a cooler and storage with another fold-able bench seat. 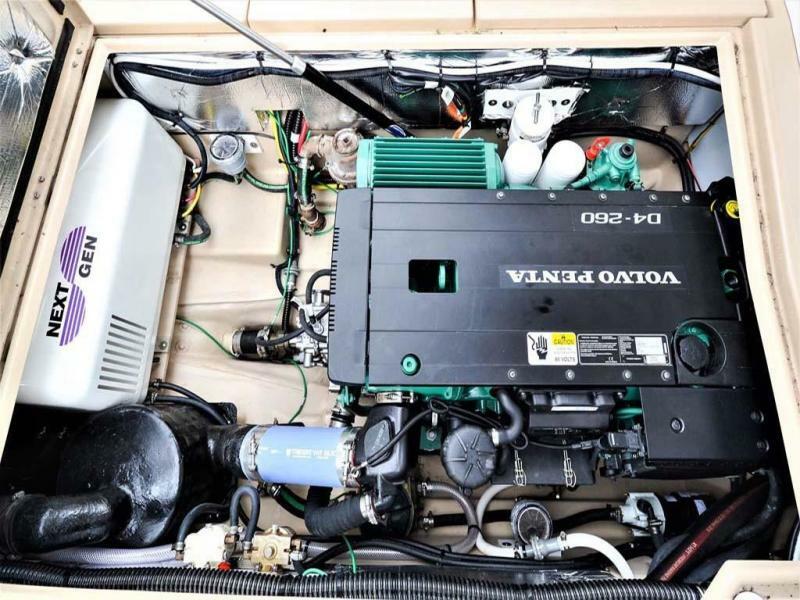 Engine and generator access is from a hatch in the cockpit. 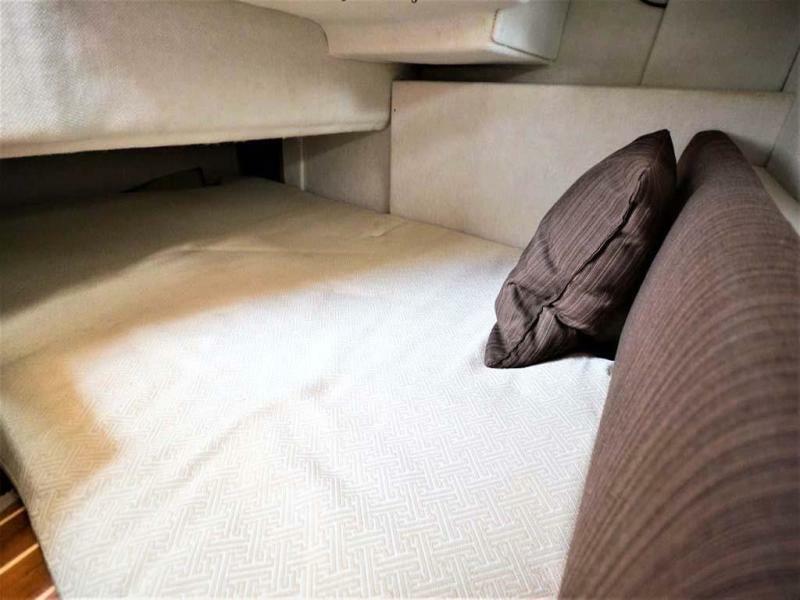 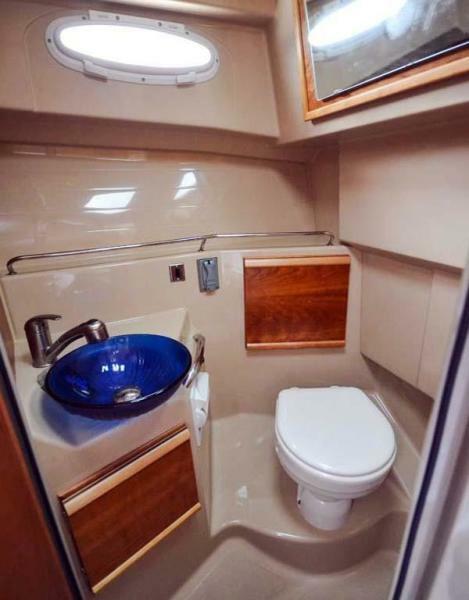 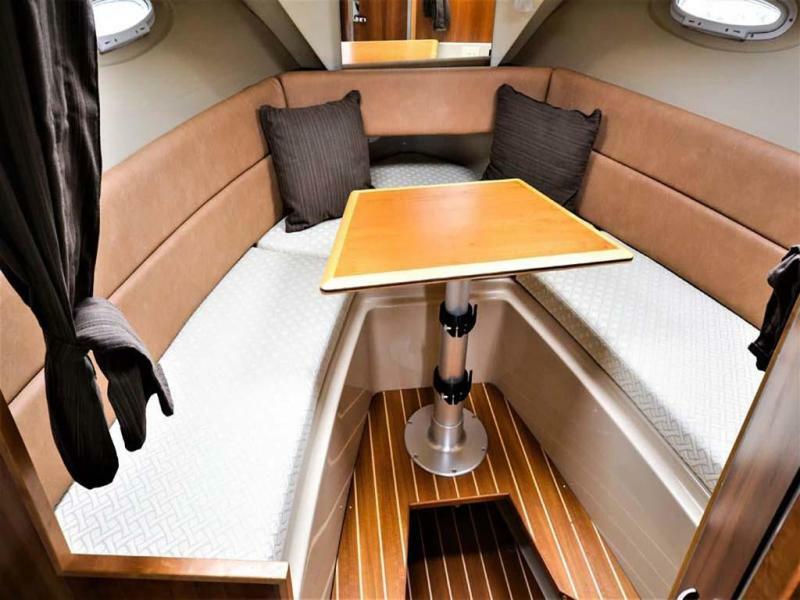 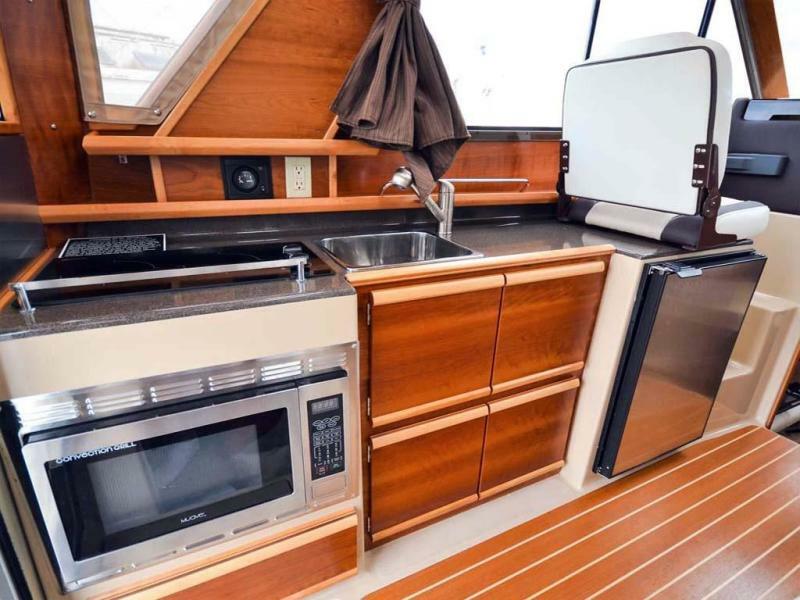 Entering the salon you have a nice galley to port with everything you need for meals along with a convertible dinette, which turns into a nice size berth, and the helm. 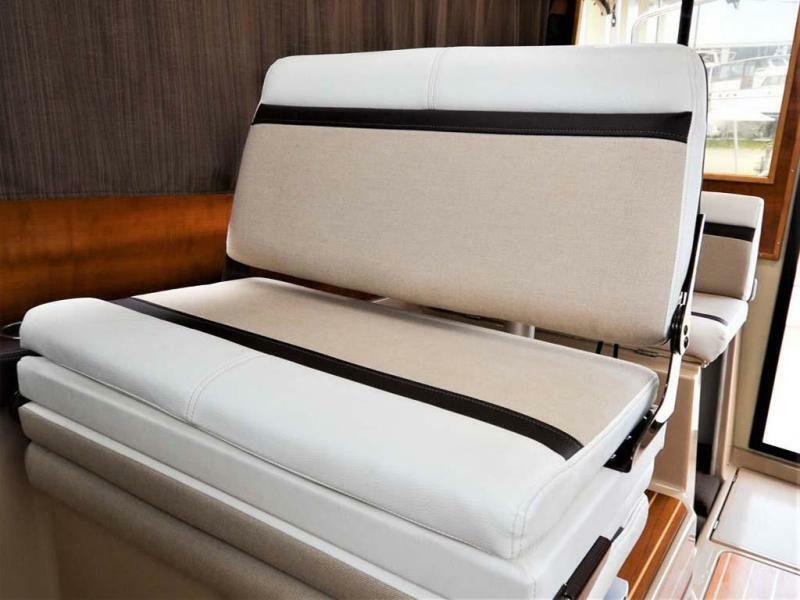 Helm seating can be reversed to enjoy a meal at the table. 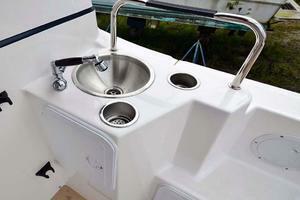 The helm has all the controls you need with a wine/beverage cooler under and a companion seat to port. 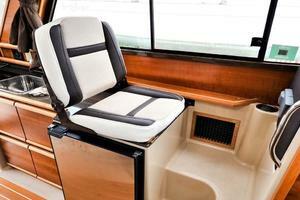 Going forward down two steps is a bench seat and storage, flat screen TV that can be turned to watch in the salon. 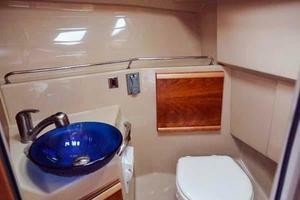 The entrance to the guest berth is starboard as is the private head with shower. 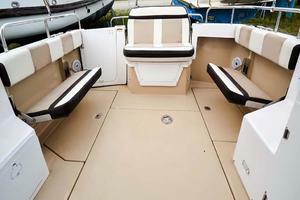 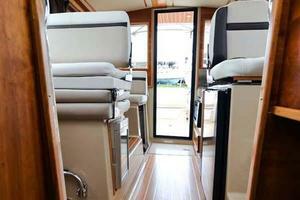 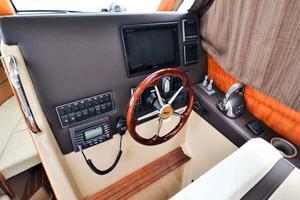 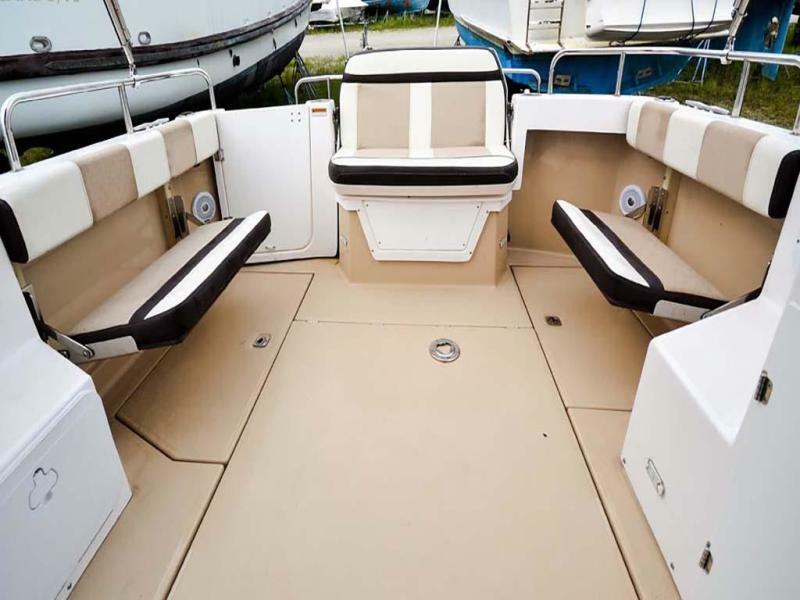 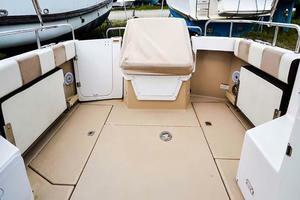 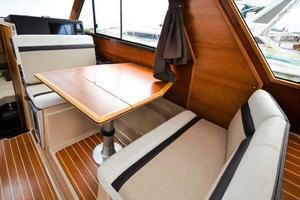 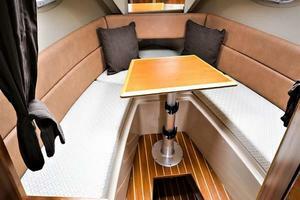 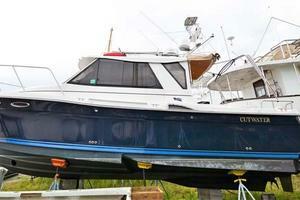 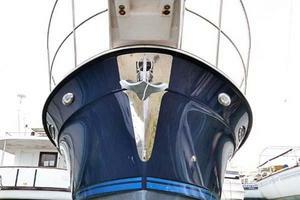 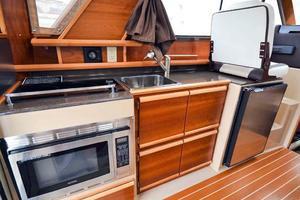 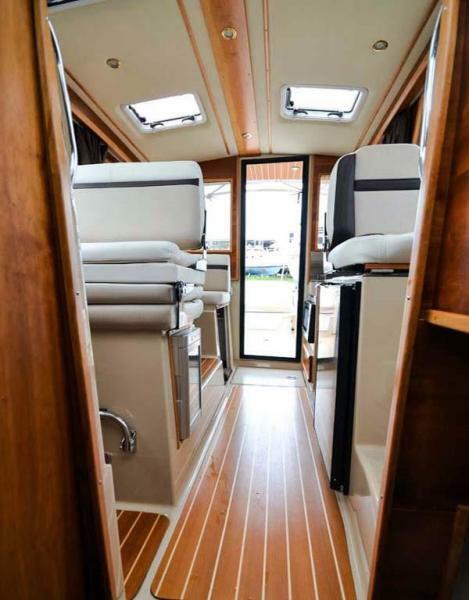 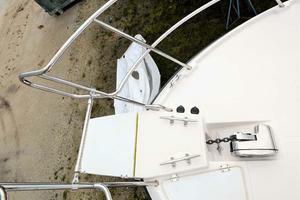 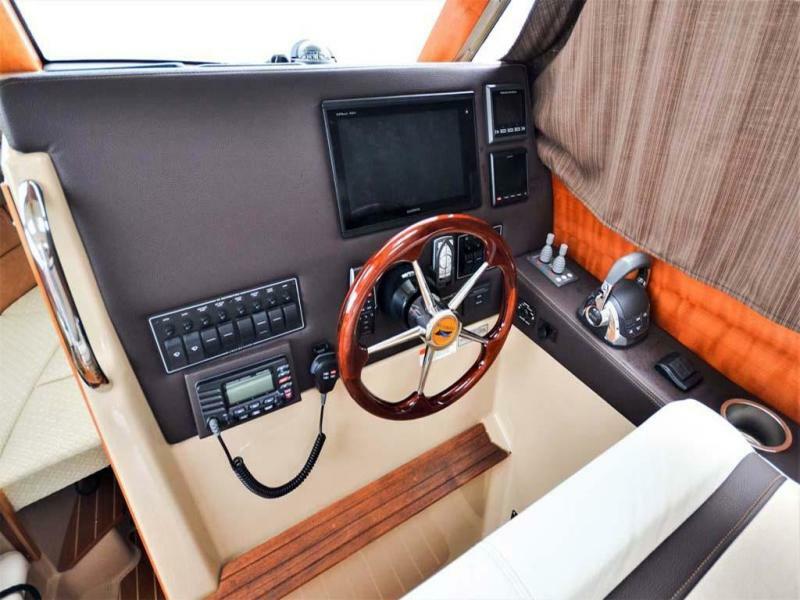 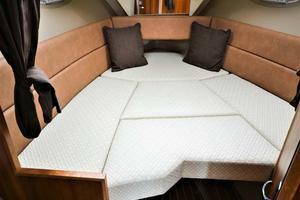 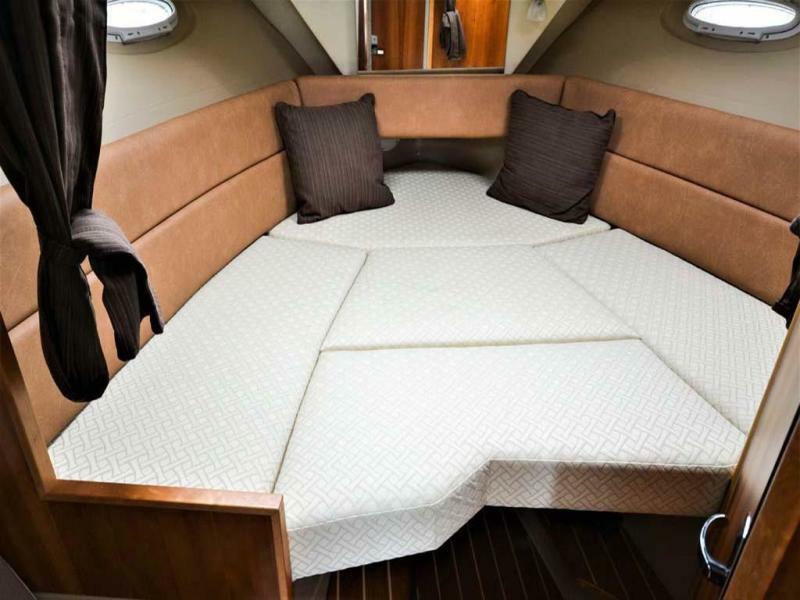 Almost brand new 28’ Cutwater Luxury Edition that will save you thousands of dollars!